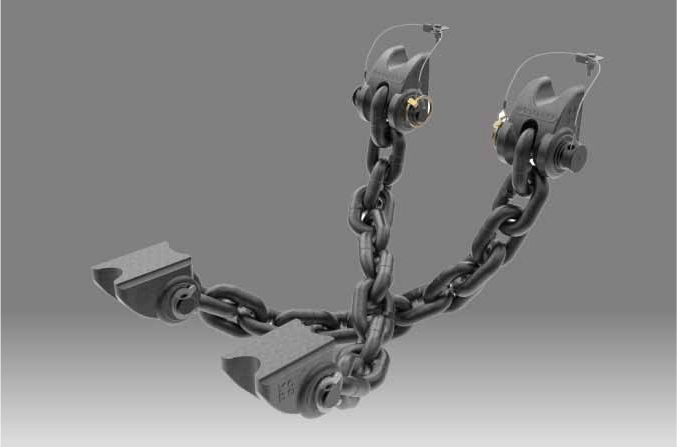 Bartlett Safety Chain systems are designed and tested to meet Australian Design Rule (ADR) specifications. Bartlett Safety Systems give you the extra assurance you need when on the road with your truck and trailer. Manufactured using heavy duty high tensile steel, tested to ADR62. Unique Bartlett chain and pin design for maximum strength and direct connection with chain. The best protection to help enable controlled stopping in the event of accidental trailer separation. Engineered for all conditions – anywhere in-field operating conditions. Click here to view the Bartlett Safety Chain Systems video production.